NEW! MINT CONDITION! Jumbo Dora the Explorer. About 25" tall. Made by Fisher Price. This was a Toys R Us exclusive and was only available for a few months in 2006. She has been sleeping in clean a storage container, waiting to be loved! 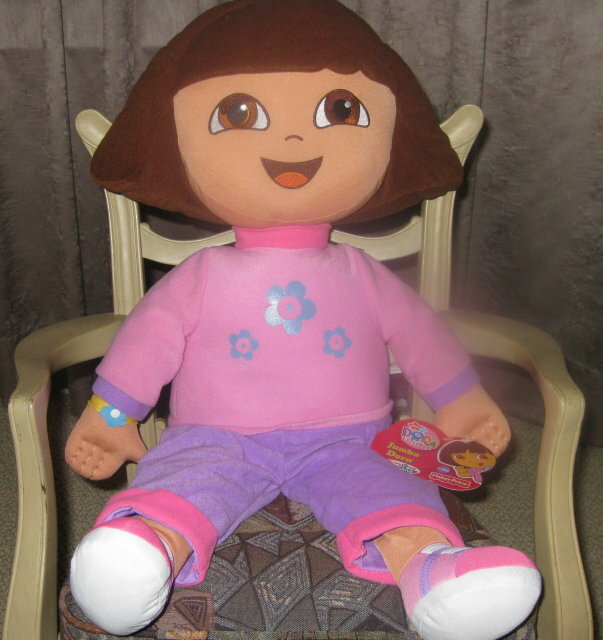 Items Similar To "Jumbo DORA the EXPLORER Doll Fisher Price~ New"